News — The Upper Crust Baking Co.
We’re extremely proud to have been selected, for the second year in a row, to provide the bread for Visit Sacramento’s Tower Bridge Dinner, an important fundraiser for the annual Farm-to-Fork Festival. This year's dinner features culinary pioneer and celebrity chef Jeremiah Tower, who will lead a team of regional chefs and farmers to create the gala dinner. Recognized by Martha Stewart as “a father of American cuisine,” Chef Tower is renowned for leading the kitchen at Alice Waters’ Chez Panisse in Berkeley, where the insistence on fresh and local ingredients quickly gained notoriety. Tower is also known for Stars, the San Francisco restaurant that he owned for 14 years, and other renowned restaurant projects across the globe. For 2018, our bread will honor the bounty of California’s farms, farmers, and agricultural producers via a collaboration with Capay Mills and the California Grain Campaign. The goal of the California Grain Campaign (http://californiagrains.com) is to help take grains out of the world-wide commodity system and place them into a regional, sustainable, food system. In the process, the Campaign hopes to increase transparency, diversity, and knowledge of the crops that grain-growers are planting, harvesting and marketing in California. The mission of Capay Mills (http://capaymills.com) is to bring back the forgotten qualities and nutritional advantages of freshly milled flour, stone-ground from locally grown heirloom grain. By offering an alternative to industrial-scale cultivation and processing, miller David Kaisel is restoring genetic diversity to our grain supply and supporting family-scale farmers—while offering dedicated bakers the chance to experience the unique tastes and personalities of this ancient crop. About The Upper Crust Baking Co.
Now in its 32nd year, The Upper Crust Baking Co. (http://ucbaking.com) is a second-generation family business that remains one of the region’s premier artisan bakeries as well as one of its oldest. With a presence at nearly 50 regional farmers markets, the bakery has established unique links to many communities, farms, and agricultural producers in Northern California. The bakery produces a wide variety of unique and award-winning breads and pastries, sources local ingredients, and supports the California Grain Campaign's 20x'20 initiative. We're (finally) opening a bakery store! Everyone is always asking us, "where is your bakery located?" and we've never had a good answer. Yes, we've been baking in Davis and selling at the Davis Farmers Market for more than 30 years, but for years we have not had any retail storefront. We'll we've got some good news. Is your market closing soon? Order online! Lots of people ask us at the farmers markets if they can order our products online. Other folks go hungry during the whole off-season, waiting for their local farmers market to start back up in the springtime. Well, the wait is over. We've just set up online ordering for all our regular products. And if you want something a little bit special, please feel free to contact us. We're always happy to try to make it happen. Juan Barajas of Woodland's Savory Café dropped off some flour samples for us at Saturday's Davis Farmers Market, courtesy of David Kaisel and Capay Mills. We'll be doing some test bakes in the next day or so, to prepare for next Sunday's Woodland Dinner on Main. Last year, David brought us a sac of his Chiddam Blanc de Mars hard white wheat flour and we made a few racks of whole grain épi loaves for the dinner. Épis are not something we usually make, but we wanted to provide something versatile, easy to break apart, and with a nice crust. David's flour made for a really aromatic dinner bread and it was easy to pair with lots of different flavors and cuisines. Plus, the épis look really nice on the table. The feedback was pretty positive, so we'll probably do something similar this year. We're honored and proud to be involved with Woodland Dinner on Main again this year. It's a great event; a celebration of Yolo County and the local agriculture that is an integral part of our community and heritage, as well as a benefit for local ag-focused non-profits. We're lucky enough to live right in the middle of one of the most fertile, productive agricultural regions in the world. This privilege is not lost on us. We're constantly working to ensure that we source whatever ingredients we can locally. We use flours that are milled just up the road in Woodland, using Sacramento Valley-grown wheat, and a wide range of other ingredients that we've procured from the friends we've made at the more than 40 farmers markets we serve. That's why we call ourselves a "farm-to-oven" bakery. Today, we're going a step further. We're working with Oakland-based Community Grains to provide Identity Preserved whole grain bread for this year's Tower Bridge Dinner. In collaboration with amazing farmers, millers, bakers, and cooks (like you! ), we’re pioneering a new way to grow and distribute grain by staying intimately connected to each and every product and telling our customers the whole story — from before the grains are planted, through harvest, storage, and milling. We call this commitment to full transparency along each point in the supply chain – from seed to table – Identity Preserved. We believe it’s the key to building a local grain infrastructure that restores and celebrates grain’s vital place in our complex food system. Community Grains has specified 23 points of identity that include a wealth of information about everything from seed stock and certifications, to soil conditions, biodiversity, milling processes, and beyond. What's more is that we'll be baking bread that is 100% Yolo County produced — from farm to oven to dinner table. How cool is that? If you're a Sacramento-area foodie, you know that the hottest ticket in town is for the Tower Bridge Dinner. Around 800 folks are going to get to sample the fare from six of the city's star chefs in this gala celebration, and this year (for the first time) we'll be providing the bread. Diners will get to eat our whole grain épi loaves, much like the loaves we prepared for last year's Woodland Dinner on Main (our own Yolo County gala dinner). In French, épi means "ear" (as in an ear of corn) or "spike", and the loaves are basically baguettes that are cut to resemble wheat stalks with spiky little ears. It's a yummy, crusty bread that's easy to break apart and share. Plus, it looks really nice on the table. Farm Fresh to You Adds Baked Goods from Davis's Upper Crust Baking Co.
Davis and West Sacramento, CA, June 12, 2017 — The Upper Crust Baking Co. announced today that it now offers baked goods through Farm Fresh To You (www.farmfreshtoyou.com), a Community Supported Agriculture (CSA) and home and office delivery service that provides fresh, local, organic produce and farm products to customers’ doorsteps. Farm Fresh To You will now carry four products from The Upper Crust Baking Co.: Birdseed bread (a nine-grain walnut raisin loaf), challah (a sweet egg braid similar to a French brioche), almond biscotti, and whole grain oatmeal raisin cookies. Now in its 31st year, The Upper Crust Baking Co. is a second-generation family business that remains one of the region’s premier artisan bakeries as well as one of its oldest. With a presence at more than 40 Northern California farmers markets, the bakery has established unique links to many communities, farms, and agricultural producers in Northern California. The Upper Crust Baking Co. offers a wide variety of unique and award-winning breads as well as a few sweet things, and sources local ingredients and supports Yolo County and Northern California agriculture whenever possible. Founded in 1992, Farm Fresh To You delivers produce to major metropolitan areas in California – the San Francisco Bay Area, the greater Sacramento region, greater Los Angeles, and Orange, Ventura, San Bernardino, Riverside and San Diego counties. Farming since 1976, this second-generation family business pioneered the organic food movement and is owned by brothers Noah Barnes and Thaddeus and Freeman Barsotti. The company is connecting communities and sustainable farms through a transparent food system that enables consumers to know their farmer and where their food is grown. 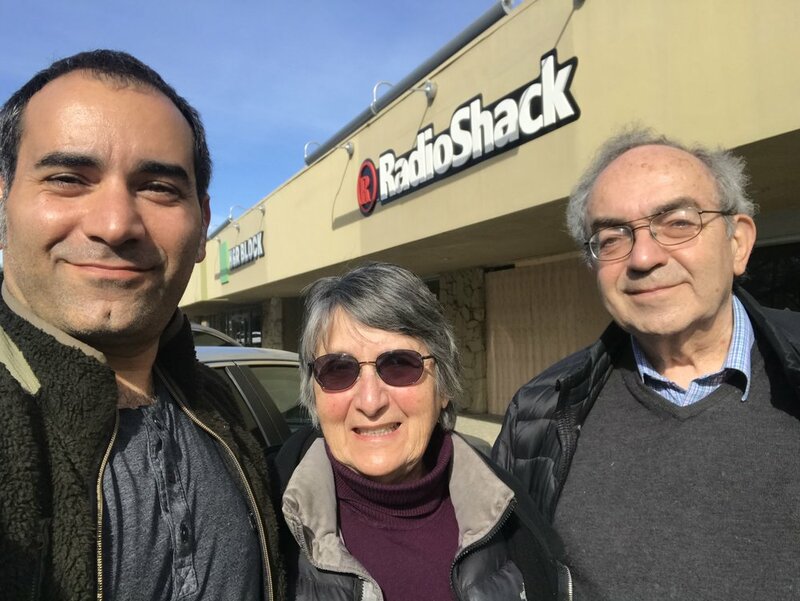 Trudy and Mo Kalisky are native New Yorkers who came to Davis, California as graduate students in 1970. It didn't take long for the couple to realize that there wasn't a decent loaf of bread to be had in the (then-) rural Central Valley town. Mo began baking French-style baguettes at home, bringing an academically scientific experience to bear upon the age-old traditions of bread-baking. For years, Mo continued to experiment with new formulas, processes and techniques. By the mid-1980s, the entrepreneurial couple rented a small facility and started delivering artisan breads to Davis- and Sacramento-area restaurants and markets. Today, The Upper Crust Baking Co. remains one of Northern California’s premier artisan bakeries, as well as one of its oldest. We make a wide variety of unique breads, as well as a few outstanding sweet things. We bake with local ingredients and support local agriculture in Yolo County and Northern California. Our flours are milled just up the road in Woodland, using wheat from the Sacramento Valley. We use Mariani nuts from Winters, local honey, and Ghirardelli chocolate. Our sourdough levain is from a pure strain of Lactobacillus sanfranciscensis sourced from the UC Davis Food Science and Technology department. Our birdseed bread won a national award for best raisin bread. And if you like cheesecake, our recipe is straight from the Claremont Diner in Montclair, New Jersey — the same cheesecake that was on the menu at New York's famous Carnegie Deli. You can find our products (and sometimes Trudy and Mo, their children, or their grandchildren) at farmers markets throughout Northern California.